« GET FRESH WITH ME…. That is the promise from Aromapothecary skin care. 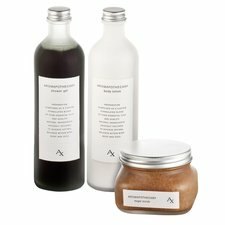 Their motto is that “Aromapothecary products are not just products but unique experiences waiting to Occur”. My favorites are the Shower Gel and Body Lotion. The Shower Gel is rich in green algae extract, which refreshes , moisturizes and tones skin. It lathers well, smells great, and leaves you squeaky clean. The Body Lotion is lightweight, yet leaves skin super moisturized. It is enhanced with mineral rich algae to rebalance ph for soft smooth skin. The products come in fun fragrances, like Hangover and anti depression. So care for your skin with Aromapothecary and find more unique experiences….